Hillsgrove Bridge is one of three remaining in Sullivan County. All three of Sullivan County's bridges were built c1850 and all are Burr arch bridges. Hillsgrove is the longest at 186 feet. The Theodore Burr Covered Bridge Society of Pennsylvania, Inc. is a 501(c)(3) Nonprofit Public Charity Organization. The purpose of the Theodore Burr Covered Bridge Society of Pennsylvania, Inc. is to promote interest and active participation in the preservation and restoration of the remaining historic covered bridges in the Commonwealth of Pennsylvania. The Theodore Burr Covered Bridge Society of Pennsylvania, Inc., generally meets the first Sunday of each month except in January. (If a major holiday interferes, the meeting is normally held the following Sunday.) Five or six of the meetings are held at St. Paul's Episcopal Church in Manheim, PA at 90 S. Charlotte Street starting at 2 p.m. The remaining meetings are held at various locations as listed in the Society's newsletters. Our membership year runs from October 1 to September 30. Annual dues are $15.00 for an individual, $20.00 for a couple at the same address and $20.00 for a business or corporate membership. A paid life membership is available for $250.00. Life membership for a couple at the same address is $300.00 and $125 for any additional family members. Each year the Theodore Burr Covered Bridge Society of Pennsylvania, Inc., plans a Covered Bridge Safari. A covered bridge safari is when a group of covered bridge enthusiasts caravan to covered bridges in a particular county or geographic area. The 2018 Safari will be in Preble and Greene counties Ohio on June 9-10. We will visit all 14 bridges in these two counties. Each year the Governor signs a proclamation to encourage all Pennsylvanians to visit covered bridges. "See Pennsylvania's Covered Bridges" Week begins the first Saturday after the first Sunday in May, to and including the third Sunday of May. Monthly photo (as shown above) for submission by Society members only. 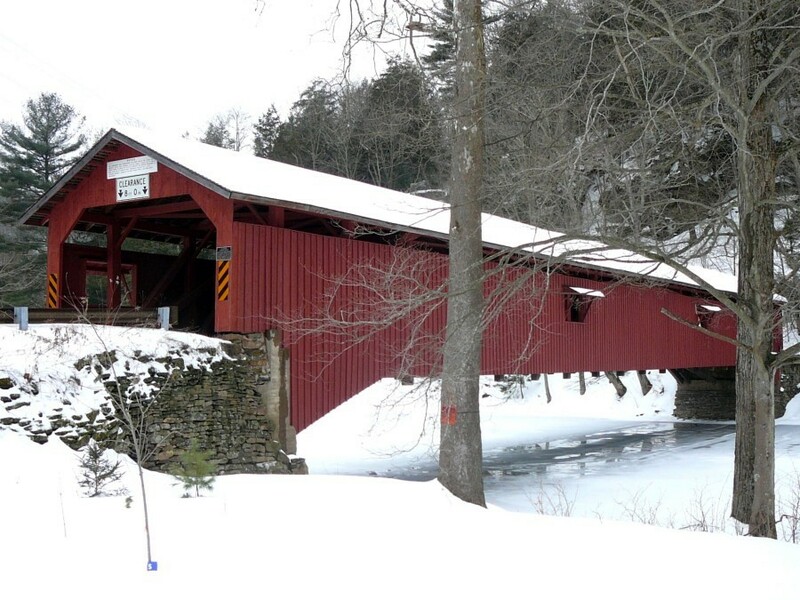 Please submit Pennsylvania covered bridge digital photos to jbsmedley@comcast.net.